The 6th World Congress Against the Death penalty was held recently from the 21st to the 23 of June in Oslo, Norway. 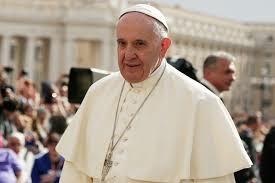 Pope Francis used this opportunity to reaffirm the unjustifiable nature of death penalty in today’s world. What better time to reaffirm this than in the Extraordinary Jubilee year of Mercy. The Pope also encouraged all to work not only for the abolition of the death penalty, but also for the improvement of prison conditions, so that they fully respect the human dignity of those incarcerated. Justice is a three way traffic, there is justice for the state, justice for the victim and also justice for the accused. But very core to justice is restitution. Killing a criminal doesn’t serve any good because his/her death doesn’t bring the victim back to the life nor does it serve any real consolation to the victim’s loved ones. Since there is no restitution, there is no justice in killing a criminal. Killing a criminal only leads to the death of any person, the only difference is that the State sees it as justifiable. On the issue of abolishing death penalty, I support Pope Francis.